← Clearview at Vivo – a delightful tongue twister! Waipara Valley is a small wine-producing area in the South Island of New Zealand, which punches far above its weight in terms of quality and renown. The wines I tried were in the range of good to excellent, with some delightful surprises along the way. Labels such as Pegasus Bay, Mud House, Greystone, Waipara Hills, Muddy Water, and more – all now on the Tigs list of wineries to trust. The Waipara Valley is about half an hour’s drive north of Christchurch. The climate works well for wine grapes with plenty of sunshine and cool nights, with the eastern hills acting as protection from the cool Pacific wind, while to the left is the mountain range known as the Southern Alps or Main Divide. The region is relatively sheltered and the growing season long, allowing the flavours of the grapes to develop slowly, giving wines with full flavour and crisp acidity. Unsurprisingly, the aromatics do well here – riesling, pinot gris and sauvignon blanc (the region does produce gewürztraminer too, but we didn’t get to taste any examples), as well as the Burgundians of chardonnay and pinot noir, and even a couple of syrahs. Several of the wineries had two or more labels working from the same cellar door, co-owned or cooperating in some way. This was true for Greystone and Muddy Water, owned by the same company and sharing winemakers, cellar door and winery. The Waipara Hills cellar door was home to three labels – Waipara Hills made on site; Mud House (Blenheim based); and Equinox also made on site, all single vineyard wines. And the superb Pegasus Bay also produces the Main Divide label. We also visited Terrace Edge by appointment. All of these labels you will find in any good wine shop in New Zealand, with many of them common overseas. Having recently moved back from Australia, I saw most or all of these labels on Aussie shelves. Having now tried the wines I would certainly give them all the thumbs up! The aromatics, chardonnays, pinot noirs and syrahs all delighted. The people at cellar door were welcoming and informative and the wines were good all round with some stars. We tried too many to relate here, so here are a few stars of the day. Waipara Hills, Mud House and Equinox we tasted together – across the board the sauvignon blanc, rieslings, pinot gris, chardonnays and pinot noirs were relentlessly good. The surprises for me were the pinot gris as I am a tough customer. They can often be disappointing and too simple for me. All of the range were excellent – Waipara Hills 2013 had generous fruit on the nose and a rich, oily palate with pear and toffee (oh yes!) and a crisp finish. Delicious! The Equinox 2013 was more floral and spicy, having had four months in oak, giving it complexity and a richness while retaining its freshness and fruit flavours of pear and quince. The Mud House Estate Home Block Waipara 2013 was different again with a creamy mouthfeel, peach flavours, spicy and juicy and long. All had great flavour, length and balanced acidity with a dry finish. 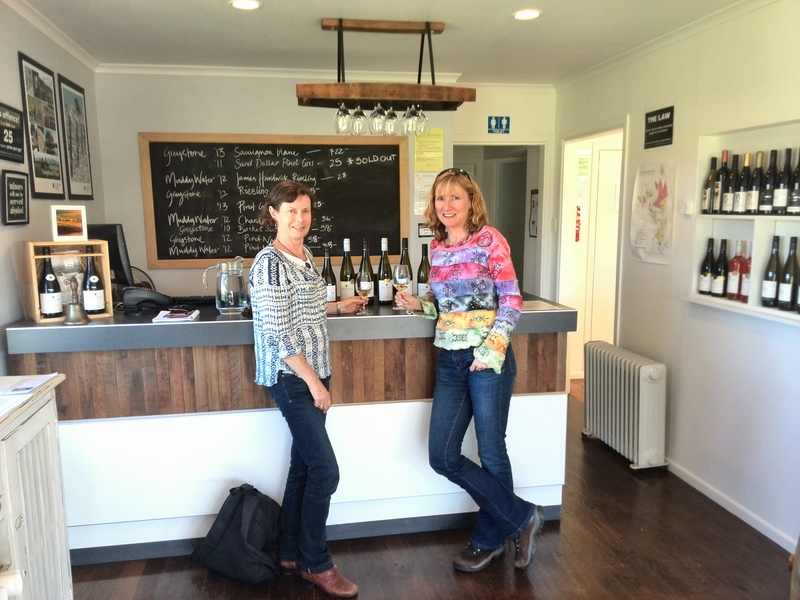 I was wowed by pinot gris – we live and learn! Excellent chardonnays and rieslings too at this cellar door with all three labels. But the other standout wines for me were the pinot noirs. The Waipara Hills 2013 gave a big fresh nose with sweet red fruit and soft tannins. Amazing value too at around $21. The absolute star was the Equinox 2012 – a truly wonderful nose – savoury, spicy and earthy with deep dark berries. Fully oaked, this is a classy balanced and silky wine, long and savoury and bursting with dark berry fruit. At the cellar door for Greystone and Muddy Water I was again wowed by pinot gris! The Greystone 2013 gave me fig and ripe pear on the nose – and on the soft palate came stone fruit, fig and – caramel! A delicious and unique wine, I came home with a bottle. Its complexity and softness were aided by slow fermentation, mostly in tank and some in French oak puncheons. I was also told that it is the norm here to have wild ferments rather than habitually inoculate and apply prescribed yeasts. Well it certainly works to give the wines character and flavour. We can all get a bit sauvignon blanc weary, they can be such big wines, and there are some less than great examples on the market cashing in on the varietal’s success. But back to basics and the good examples, this wine can still easily be a stunner. The 2013 Greystone sauvignon blanc is 100% barrel fermented, and gives a fresh and mineral nose – I didn’t get the Marlborough herbaceous or gooseberry characters, but more grapefruit and pineapple. (This is not due only to the terroir, it is made from a different clone to the Marlborough versions.) The palate was creamy and soft with dried mango, and the chalk-derived minerality from the limestone soils kept it clean and fresh and direct. It was lovely – and surprising. The other standout for Greystone was the 2012 syrah. Nick Gill is the Australian viticulturist, who chose the patch of land with the microclimate to plant syrah, on a north-facing block with sandstone and grey limestone and enough heat for this grape to ripen. I love syrah but can be a bit put off by too much of the pepper character – this wine had a mocha nose and palate, with gentle spice and pepper, and rounded dark cherry fruit. This savoury beauty would complement game dishes – I was a fan of the shiraz and kangaroo combination in Aussie. Muddy Water’s standout for me was the 2012 chardonnay, aged for 15 months in barrel. It was toasty, with full stone fruit flavours, covering all parts of palate, pleasing all areas at the same time. It could stand up to food, but was gentle enough to drink alone. Terrace Edge also had a pleasingly different sauvignon blanc. The nose was green apple, capsicum and nectarine. The palate gave a big fruit burst, with herbaceous characters, and was long, long, long! The other stars for me were the 2012 pinot noir and the 2013 syrah. The pinot noir benefitted from a long hot growing season and the red berry fruit was generous on the nose and palate, with that lovely savoury edge. I loved it! And last but not least the Terrace Edge 2013 syrah, grown on gravel on a north facing bank to capture maximum heat, gave a lifted spice and peppery nose, with raspberry and dark berries, following through to a palate of sweet fruit, spice and savoury overtones. Divine. Pegasus Bay will be known to most wine drinkers in New Zealand and Australia. 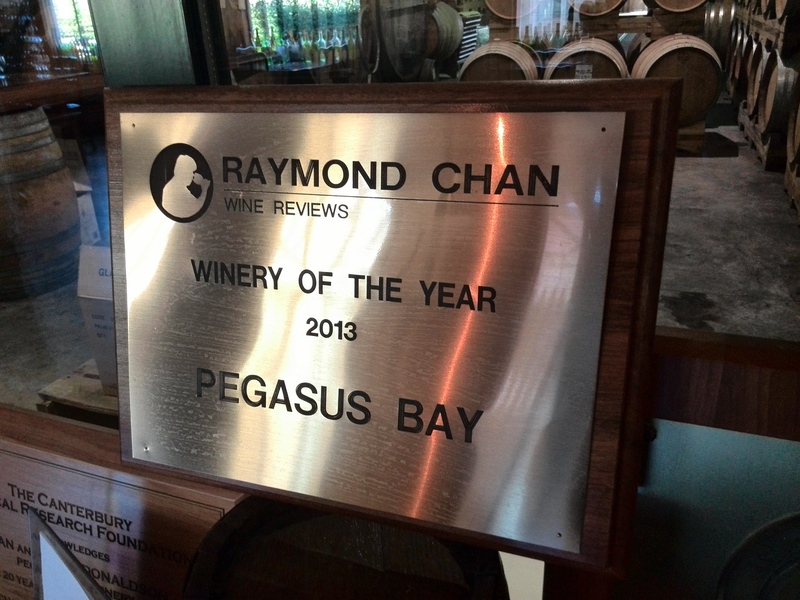 And wine expert Raymond Chan named it Winery of the Year 2013. The Donaldson family have owned and operated this winery since the 1970s. Aussies may be interested to know that the winemaker Matthew Donaldson acquired his oenology degree and postgraduate diploma in viticulture at Roseworthy College in South Australia, north of Adelaide. The cellar door is the most stunning in the area – the amazing building filled with old wine bottles – and the beautiful grounds – see the photos below. Of the Pegasus Bay wines we tried, my pick was the chardonnay which showed complexity and intense fruit, the Mendoza clone grapes having been fermented in French oak puncheons (BIG barrels!) and aged on lees, with partial malolactic fermentation. This is my absolute favourite type of chardonnay, giving layers of flavours and full mouthfeel, structured and long. I was excited to see aged releases available to purchase at reasonable prices so I picked up some 1997 chardonnay (the older style with more oak and full malolactic fermentation) and 2000 cabernet merlot. I am interested to try these matured beauties. The experiences at all wineries were enhanced by staff being informative and welcoming, but at Pegasus Bay even more so, meeting the assistant winemaker Jannine Rickards and having a sneak peek of the new pinot noir. Many thanks to cellar door manager Heike for being friendly and informative. My view of Pegasus Bay will always be favourable! And south to True and Daring! 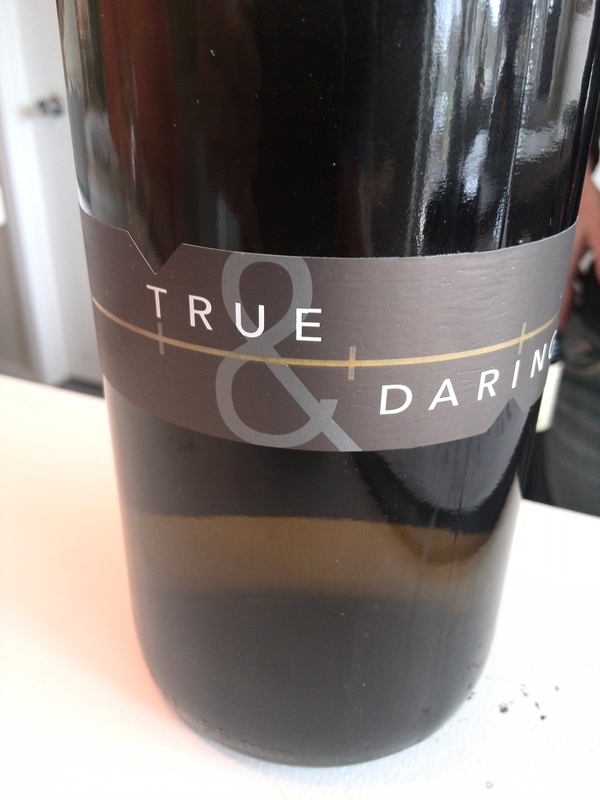 True and Daring riesling – 2007 the current release – delicious! 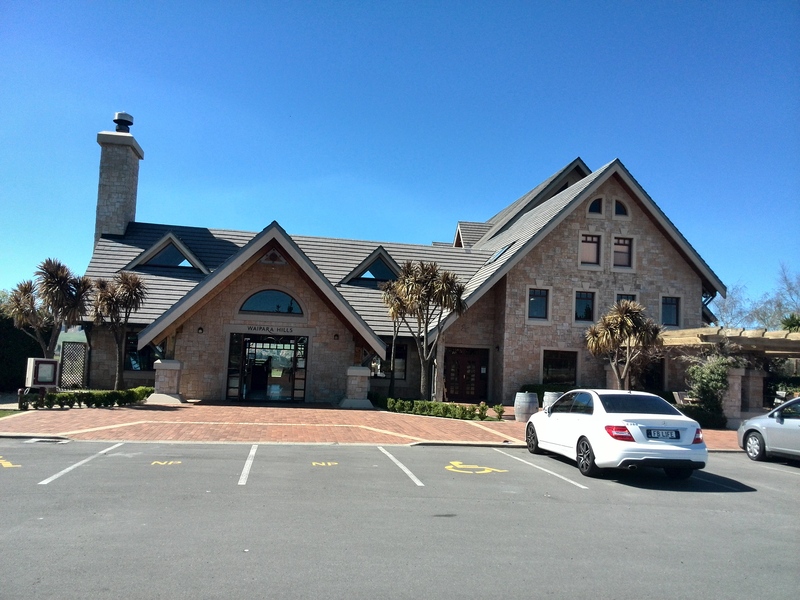 We took a drive to the south of Christchurch to a small winery previously known as Sandihurst, renamed True and Daring – same owners (English lady Celia married to a South African man), just a different name for their predominantly US market. They only make riesling and Celia showed us the current release of 2007 riesling – yay to aged riesling and it was wow wow wow. A lovely aged nose, soft and citrus on the palate, with a hint of honey. This is a classy, elegant wine, delicious and satisfying, made in a European style with 9g residual sugar and 12% alcohol. I bought it, what a treat! The cellar door also supports wines from the local area, with a range of local producers available to purchase and tastings revolving so the customers can always try the True and Daring riesling and one of the other locals. We tried a Georges Road pinot noir 2013 made by the ex-winemaker for Sandihurst, now making his own wines here. This was a delightful relatively light, elegant and savoury wine. Overwhelmed by good wines with elegance, intensity of flavour, and natural acidity across the board, these are the picks and all of these wineries are now on the Tigs safe winery list! Thanks to Vino Fino of Christchurch for shipping back a case of carefully selected beauties from this wine region that punches far above its weight. Tigs’ picks: sauvignon blanc – Greystone 2013, Terrace Edge 2012; pinot gris – Waipara Hills Waipara Valley 2013, Waipara Hills Equinox Waipara Valley 2013, Mud House Estate Home Block Waipara 2013, Greystone 2013; riesling – True and Daring 2007, Waipara Hills Waipara Valley 2013, Waipara Hills Equinox Waipara Valley 2013, Mud House Estate The Mound Riesling 2013; chardonnay – Pegasus Bay 2012, Muddy Water 2012; pinot noir – Terrace Edge 2012, Waipara Hills Waipara Valley 2013, Waipara Hills Equinox Waipara Valley 2012; syrah – Terrace Edge 2013, Greystone 2012; merlot cabernet – Pegasus Bay 2011. Gallery | This entry was posted in Chardonnay, New World wine, NZ wine, Pinot noir, riesling, Sauvignon blanc, Syrah/Shiraz, Wine varietals and blends and tagged chardonnay, Equinox, Greystone, Mud House, Muddy Water, NZ wine, Pegasus Bay, pinot gris, riesling, Sandihurst, Sauvignon blanc, syrah, Terrace Edge, True and Daring, Waipara, Waipara Hills. Bookmark the permalink.